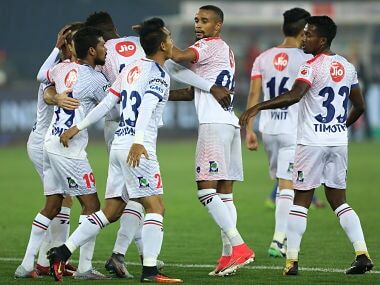 Delhi Dynamos rallied to hold FC Goa to a 1-1 draw to make a dent on the home side's chances of making it to the play-offs of the Indian Super League in Goa on Wednesday. 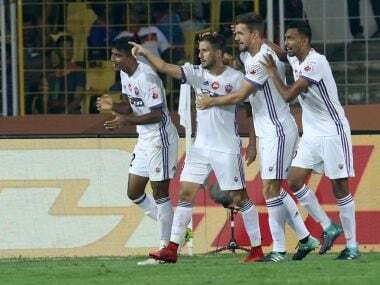 Bottom-placed Delhi Dynamos let slip a one-goal advantage to share the spoils with visiting Chennaiyin FC in their Indian Super League (ISL) match in New Delhi on Sunday. 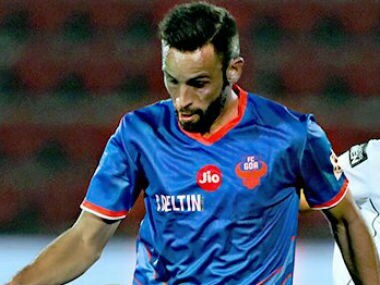 Indian Super League (ISL) outfit Delhi Dynamos have roped in Spanish midfielder Manuel Arana from FC Goa on a loan deal till the end of the season. 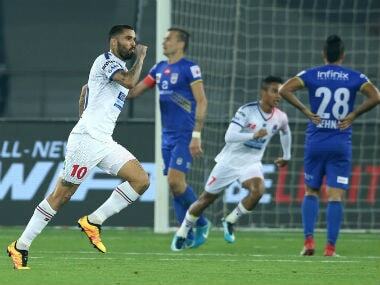 FC Goa condemned Delhi Dynamos to their fourth successive defeat with a 5-1 thrashing in their Indian Super League encounter at the Jawaharlal Nehru Stadium. 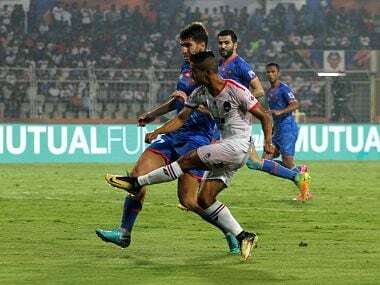 Apart from Lanzarote, Sergio Juste Marin, other foreigners who will be representing the Goan club this season are Bruno Pinheiro, Ferran Corominas, Manuel Arana and Ahmed Jahouh.